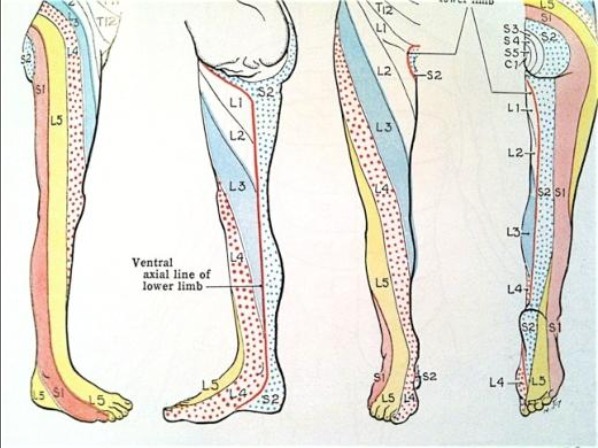 The L-5 Dermatome travels up the top, and part of the bottom of your foot, and the outside portion of your leg. 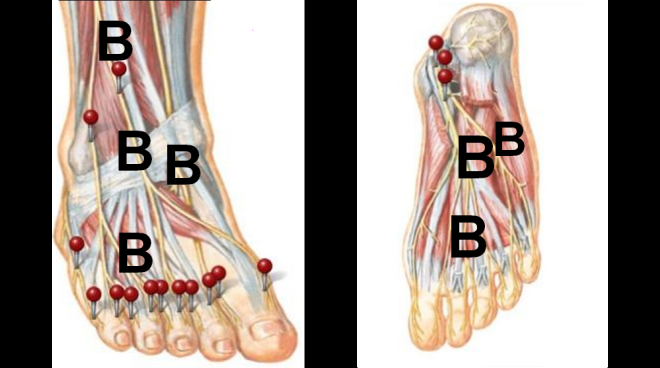 (see letter B, and the L-5 dermatome pathway). Dermatome chart courtesy of Grant’s Atlas of Anatomy.